Gary Cohn, the top economic advisor to U.S. President Donald Trump, announced Tuesday that he will resign in the next few weeks after breaking with the president on trade policy. Cohn, who served as the director of the National Economic Council, was strongly opposed to Trump’s decision to impose tariffs on steel and aluminum, which has sparked fears of a trade war. His arguments failed to persuade the president. A White House official, however, claimed that the dispute over tariffs was not the only reason for Cohn’s departure. The official, speaking on condition of anonymity, said Cohn had spoken with Trump over the past few weeks and said it was nearing time for him to transition out. A date for Cohn’s departure was not immediately known, but the White House said he was expected to leave within the next few weeks. 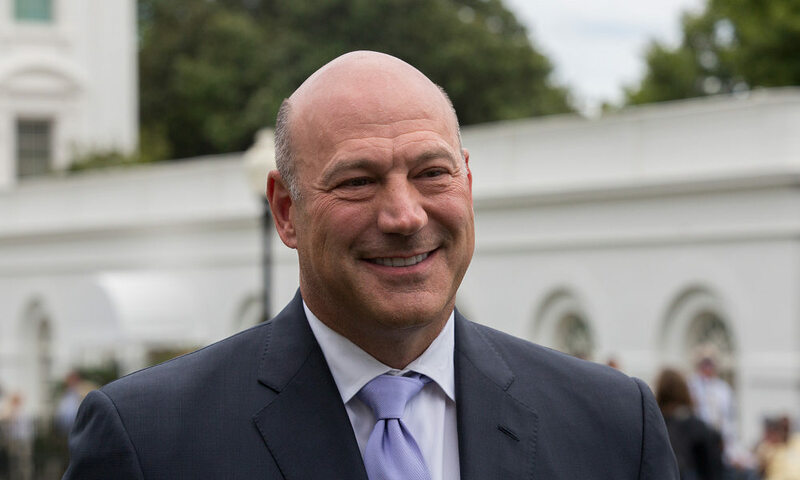 Cohn, a Democrat who previously served as president of investment bank Goldman Sachs, has served as Trump’s chief economic adviser since the start of the administration in January 2017. He has been credited for his work to help pass tax reform and to advance Trump’s deregulatory agenda. Futures for U.S. stock markets fell sharply after Cohn announced his resignation. Futures for the Dow Jones Industrial Average fell more than 415 points (1.7%) while futures for the S&P 500 fell more than 32 points (1.2%). The White House has been rocked by a number of high-profile resignations over the past few months. Just last week, White House Communications Director Hope Hicks, who is one of Trump’s longest-serving and closest aides, said she will resign in the next few weeks.